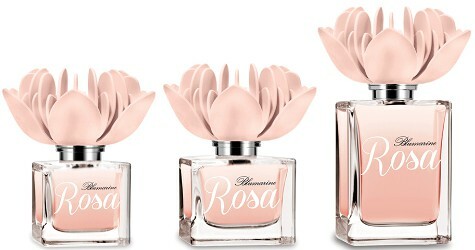 Italian fashion house Blumarine has launched Rosa, the brand's latest fragrance for women. Rosa was developed by perfumer Sophie Labbé. Notes for the floriental include bergamot, freesia, sesame seeds, roses, lily, tuberose, musk, patchouli and vanilla. Blumarine Rosa is available in 30, 50 and 100 ml Eau de Parfum. Doesn’t sound like my kind of thing, but I really like the bottle. Take a look at their Ninfea & Anna…similar caps in different colors. I like them too.